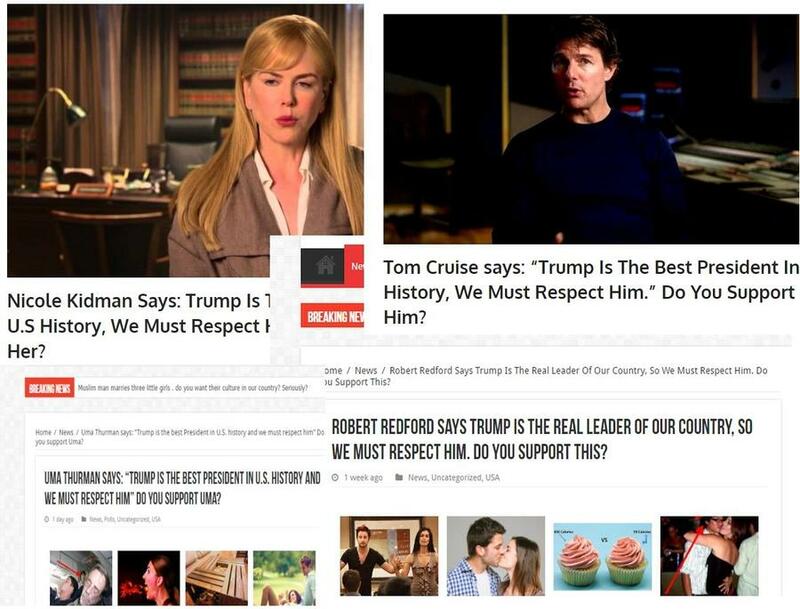 Have you read all these stories about Uma Thurman, Nicole Kidman, Tom Cruise, Robert Redford, Brad Pitt or other celebrities who allegedly said that "Donald Trump is the best president in U.S. history" or "the real leader of our country" and that "we must respect him"? If so you've almost certainly been reading fake news. A favorite tactic of these sites is to publish things that will increase their 'engagement' on Facebook, where engagement means number of likes, clicks, comments etc. Posts that have a very high engagement will be shown to more people because of how Facebook's algorithm works. 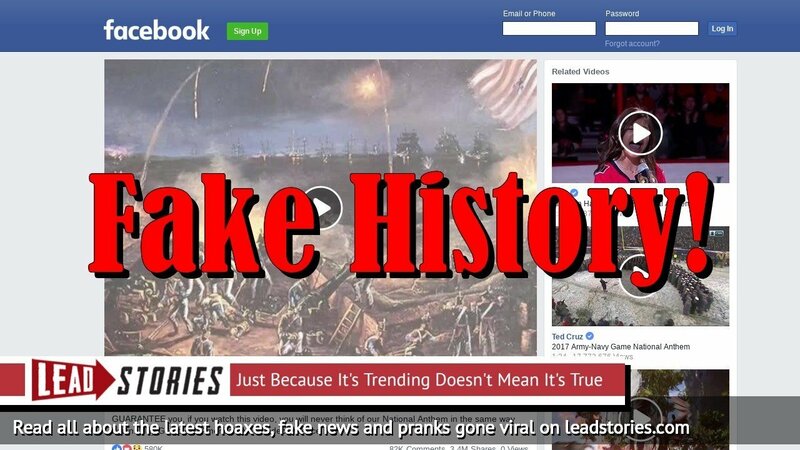 Fake news scammers know this and use many tricks designed to get people to click on their links so they can then cash in via various dodgy advertisements. One of their favorite tricks is to set up opinion polls. Who doesn't love giving their opinion on something? And every click means their engagement goes up and that means even more people will get to see the poll. By choosing their subjects and questions with care the scammers will try to maximize the amount of clicks. And they are very good at it. Who doesn't like it when some celebrity appears to agree with something you also believe? Do you support this? Hell yeah! Do you like that? Of course! Do you love it? Sure do! Click, click, click... It doesn't even have to be true, who has time to check that anyway? Meanwhile the fake news scammers are laughing all the way to the bank. So next time you see one of these 'polls', think twice. The events in the question may or may not have happened. But do you really want to support scammers by hitting that 'I agree!' button without thinking?